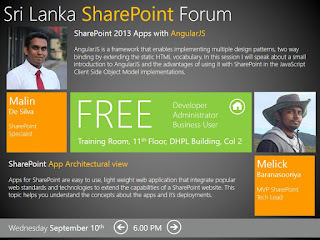 article I am going to explain some of them which attracted me most. 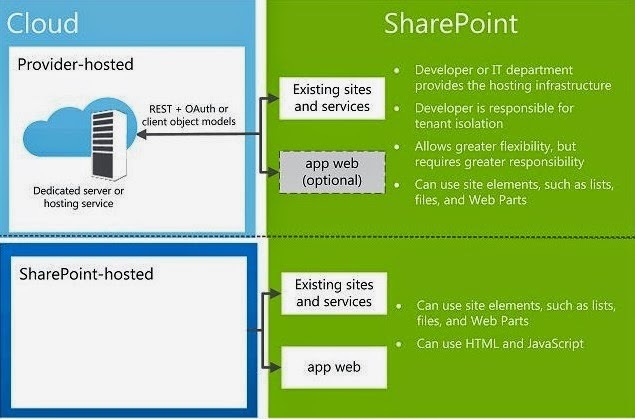 out of the SharePoint it minimize the risk of affecting the SharePoint environment. Also this puts relatively less load on the server as well as it can be configured by the administrators. 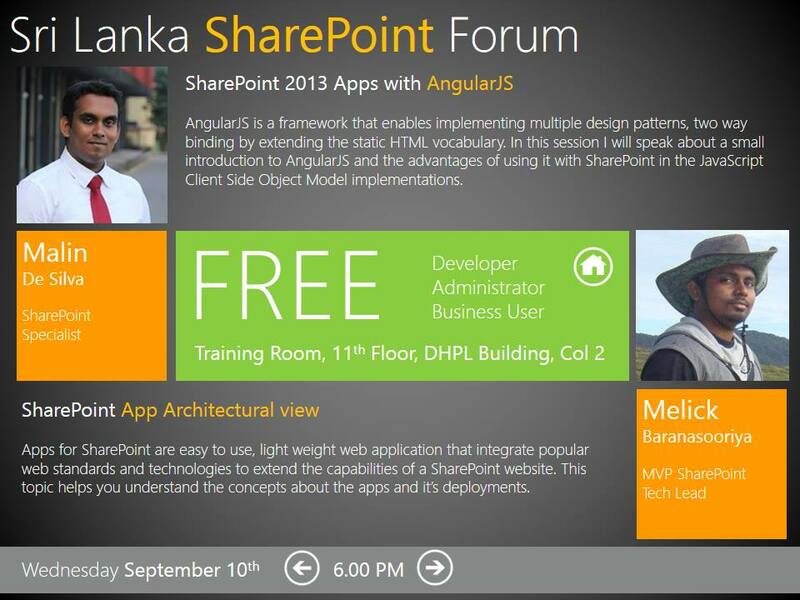 I spoke about SharePoint 2013 Apps with AngularJS at the SharePoint Sri Lanka Monthly Meetup for September 2014 held at Microsoft Sri Lanka.